Dynamo Kiev failed to make a flying start to the season, with the team losing to Ajax in the Champions League qualifiers, but thanks to a hard-fought 1-0 win over Astana the Ukrainian side booked their place in the Europa League knockout stages. Dynamo Kiev have little to play for in their last group game, but they surely want to extend their unbeaten run in the competition. Seeing that the Ukrainians have already clinched top position in Group K, we predict that coach Aleksandr Khatskevich is going to mix the squad against Jablonec. The visitors are stuck at the bottom of the standings, but they should take advantage of the fact that the hosts head into Thursday’s football match with a severely-weakened squad. A close encounter is on the cards and we predict that the two teams are going to share the spoils in their last group game. Product of the club, Mycola Morozyuk is the 28-year-old right midfielder, who can effectively be deployed at right back as well. Having begun his career with the Kyiv giants in 2005, Morozyuk struggled to make his mark in the first team and was transferred to Metalurh Donetsk in 2010, the same year he was give his international debut. More than 120 appearances later and loans at the likes of Dnipro and Obolon Kyiv, the Ukrainian midfielder returned home to Dynamo Kyiv in 2015. Mycola Morozyuk was unfortunate to make an immediate impression following his return to the club he began his professional career with as he suffered a serious ligament injury at the beginning of 2016. Ligament issue limited his influence to mere 13 league appearances so far, but the 28-year-old lacks no motivation to finally earn his stripes with the Ukrainian giants. 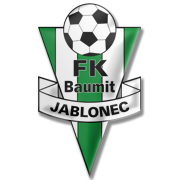 FK Jablonec are a Czech side who compete in the Czech 1. Liga. Jablones are well known for their green and white kit, whilst their away colours are black and gray. The Czech outfit play their home games at Stadion Strelnice, the venue which can hold up to 6,108 spectators. Jablonec are not considered one of the most successful Czech sides, but they did well to win the domestic cup on two occasions. In the 1997/1998 season they defeated Petra Drnovice in the final, whereas they clinched their second title by beating Mlada Boleslav on penalties in the title game. The likes of Petr Rada, David Lafata, Tomas Hubschman and Ludek Pernica are the club’s most notable players. Jablonec finished the 2017/2018 season in third place in the standings, which helped them book their place in the Europa League. The Czech team will take on Rennes, Astana and Dinamo Kiev in the 2018/2019 Europa League group stages.